Resetting your forgotten password is simple. Press the ‘Forgot Password’ link underneath the Log In button. If you see the error message ‘That Username or Email wasn’t found’ when you try to reset your password it’s an indication that you’re trying to log in with the incorrect email address. Usually this is because a different email address was used to create the account. If you do not find a password reset email in your inbox then your email software may have automatically placed it in a spam or junk folder. It is often worth checking there before contacting support. Email us if you have tried resetting your password and continue to have problems logging in. 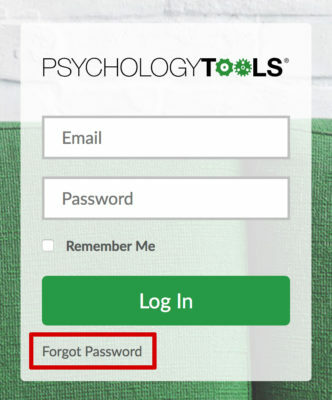 Subscriptions to Psychology Tools default to renewing automatically. Before the end of your subscription you should receive an email reminding your about the upcoming renewal. If you do nothing then your subscription will automatically renew. If you do not want your subscription to renew you need to turn ‘Auto Renew’ off. When a subscription is paused (Auto Renew: Off) you will not receive any further charges. 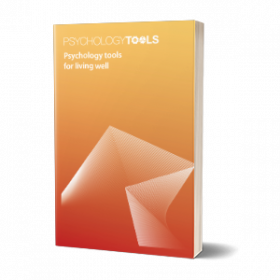 You will lose access to Psychology Tools resources at the end of your subscription period, and will no longer be licensed to use any that you have already downloaded. After a few moments you should see the message ‘Your subscription was successfully paused’. When ‘Auto Renew’ is off your subscription will be ‘paused’ and will expire on the date shown. Will my subscription renew or expire? If you are not sure whether your subscription will renew look at the images below. If your subscription is due to renew the subscription column will report ‘Enabled’. The next payment will be automatically taken on the ‘Next billing’ date. If your subscription is due to expire the subscription column will report ‘Paused’. There will be no ‘Next billing’ date shown. If you have received an email notifying your card has expired you need to update your payment details in order to maintain your subscription. Changing the email address associated with your account is easy. Team accounts have one user specified as the team administrator. They are the person who will be contacted regarding any billing or account enquiries. They are responsible for managing the accounts of other users within their team.